If it’s time to purchase your next vehicle, you’ve probably been considering the reliable Chevy name. With decades of experience and some of the most advanced automotive technology on the market, purchasing a used Chevy is an excellent choice. However, knowing which used model to purchase can be tricky. 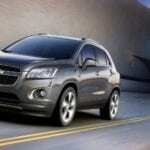 To get you started, let’s take a look at five of the most popular used Chevy models and what they have to offer. The Chevy Cruze is a compact car, which is currently in its second generation. Since its debut in 2008, the Cruze has been an incredibly popular option for drivers looking for a sedan. It is incredibly affordable, efficient, and versatile, especially compared to other vehicles in the compact car class. Today the 2019 Chevy Cruze achieves up to 31 mpg in the city and 48 mpg on the highway. However, used models can be found with a rating of up to 31 mpg in the city and 47 mpg on the highway. These ratings are nearly identical, but choosing to purchase this used Chevy even just one year old could save you thousands. The Chevy Cruze also offers a fair amount of cargo space, with its most recent used model offering up to 47.2 cu. Ft of space with the seats folded down. This is plenty of room to transport the belongings needed for those long weekend trips. Overall, the Chevy Cruze offers a fair level of power with engine options that can produce up to 153 hp. However, this vehicle focuses more on the efficiency of its powertrains and is more suitable to the driver prioritizing this feature. The Chevy Malibu is a midsize car currently in its ninth generation. Yes, nine generations! This vehicle has been available on the market since 1964, and has undergone several major redesigns and upgrades. Today, the Chevy Malibu is an excellent option for drivers looking for more power in their sedan. Engine options available on used models can produce up to 250 hp and 260 lb-ft torque. The Chevy Malibu still remains an efficient choice for a used vehicle, however, is not quite as efficient as the Cruze. On its latest used model, the Malibu earns up to 27 mpg in the city and 36 mpg on the highway with its most efficient 1.5L 4-cylinder engine option. The Chevy Malibu is a more expensive vehicle than the Chevy Cruze, however it is larger, more powerful, and still competitively priced among others in the midsize car class. Drivers looking for a powerful sedan will appreciate all that this used Chevy has to offer, and can enjoy nine generations of technological upgrades, advancements, and redesigns. The Chevy Equinox is a compact crossover SUV, currently in its third generation. With its popularity steadily growing since its debut to the market in 2005, the Chevy Equinox is one of the most popular vehicles available today. This SUV is spacious, efficient, and extraordinarily versatile. The most recent model of the Chevy Equinox can be found with a fuel efficiency rating of up to 28 mpg in the city and 39 mpg on the highway. This fuel rating is not only at the top of the compact crossover SUV class but also rivals many new sedans. And with a maximum towing capacity of 3,500 LBS, as well as engine options that produce up to 252 hp and 260 lb-ft torque, it’s no wonder why drivers praise this vehicle’s versatility. Drivers who invest in a recent used model of the Equinox can even enjoy up to 63.5 cu. Ft of cargo space with the seats folded down, or 29.9 cu. Ft. with the SUV full of its five-passenger seating capacity. Overall, it’s clear that this is an incredible choice for a used Chevy, and is ideal for the driver looking for all the efficiency of a sedan, but the power and space of a larger vehicle. As a midsize crossover SUV, the Chevy Traverse is larger and has slightly more powerful engine options than the Chevy Equinox. However, it is not nearly as fuel efficient as its smaller cousin. The Chevy Traverse is actually relatively new, and currently only in its second generation. It emerged for the need for another competitor in the midsize class, while the compact class continued to become more and more crowded. Used models of the Chevy Traverse can be found with seating for up to seven or eight passengers, and with up to 98.2 cu. Ft. of cargo space. As far as power, the latest used Chevy Traverse offers an impressive 310 hp and 295 lb-ft torque. However, it can be beaten by the Chevy Equinox in terms of towing capacity, with its 2018 model offering only a 1,500LB maximum. Overall, the Traverse is an excellent option for drivers looking for an incredibly spacious used Chevy for up to seven or eight passengers and all of their belongings. There’s no doubt that the Chevy Silverado is iconic. It has been known as a powerful, reliable, and efficient truck since its debut in 1999. If you’re looking for a used Chevy truck, there’s no greater option than the Chevy Silverado. Used models of this vehicle can be found with upwards of 10,000LBS of towing capacity, with most recent models offering up to 420 hp and 460 lb-ft of torque. Plenty of cab configurations are available, as well as multiple trim levels, packages, and accessories. When you’re looking for a used Chevy truck for sale, you’ll be amazed at the level of customization you’ll be able to find. 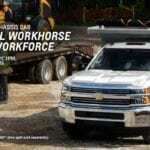 The Chevy Silverado has also become known for its advanced safety and entertainment technology. So, when driving many of the recent used Silverado models, you can drive in full confidence and entertainment. If you’re looking for the ultimate in power, capability, and performance, this is one used Chevy you’ll want to consider. When it’s time to start the car-buying process of your next used Chevy, you’ll want to make sure that you do plenty of online research. There are numerous sites available that can help you determine which used Chevy has the traits you’re looking for. Online research is also an excellent tool when trying to determine the proper value of a used car for sale, and can ensure that you end up paying a fair price for your next vehicle. Before you complete any purchase, be sure to research multiple vehicles and the unique features that each model year has to offer. This will help you determine exactly which model is best for your lifestyle, needs, and budget. Consider Purchasing Your Used Chevy Online! Sure, you could visit your local Chevy dealer and dedicate yourself to an all-day car-buying affair. And after several hours at the dealership, you may not even end up leaving with a vehicle. But, there are more convenient alternatives available. Today, online resources allow you to complete your research, financing, and purchasing all in one place – without ever having to leave the comfort of your home. There are even websites available that offer features like guaranteed financing, complimentary vehicle delivery, comprehensive warranty options, and included vehicle history reports. During your research, keep an eye out for websites like these and see what buying your next used Chevy online is all about!